2018 marks the centenary of World War One with millions of people taking part in Remembrance events up and down the country. Valuable funds have been raised for The British Legion with many villages and towns across the country taking part in activities to commemorate those who lost their lives fighting in both World Wars. Over the last 18 months, the Long Itchington War Memorial Group (WARMLI) have organised a number of activities and have raised over £35,000 to build a war memorial as a mark of Remembrance to the men from their Parish who bravely gave their lives fighting for their country during the two world wars. 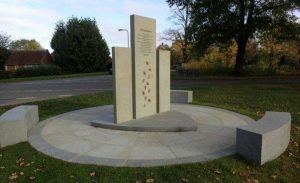 The residents of Long Itchington Village in Warwickshire, have worked tremendously hard to raise the money needed for their war memorial and so it was extremely important to UltraScape that the materials used and the installation of the paving was carried out perfectly to ensure the villagers are able to enjoy the memorial for years to come. With this mind, Nick Holmes, UltraScape’s Technical Training and Site Support Manager, visited Long Itchington to deliver all the paving materials needed to install the war memorial and the surrounding paved area, materials which were kindly donated by UltraScape, and to carry out training with O’Brien Contractors Ltd to ensure the paving was installed correctly. 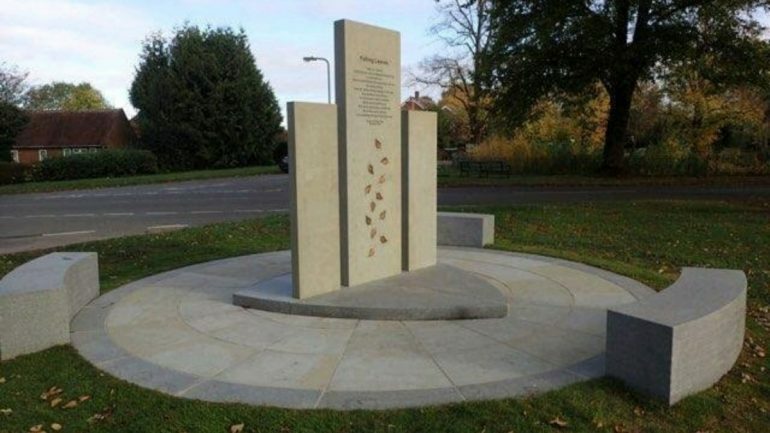 The 40m² area of paving and 3 inscribed monoliths were supplied by Marshalls and installed using UltraScape’s Mortar Paving System. Made up of bedding mortars, slurry primer and innovative flowable grout, every product in UltraScape’s Mortar Paving System has been independently tested by an UKAS accredited laboratory to assess their performance abilities. This method removed the uncertainty of site batched mortars and offers a minimum construction life of 40 years. Pre-blended for ease of use, Pro-Bed HS fine bedding mortar provides the ultimate laying course for all types of paving. Available in 3 sizes, 25kg, 30 tonne silos and 1 tonne bulk bags, Pro-Bed HS provides you with the perfect amount of material for all project sizes. Pro-Bed HS can be laid from 10mm – 75mm, is shrinkage compensated and can be opened to foot traffic in just 12 hours, allowing contractors to move on to the next part of the project quickly. To complete the installation, Flowpoint rapid set grout was used to joint the selected pavers. With an initial set after just 15 minutes, and a walk on time of one hour, it is unsurprising that Flowpoint has become synonymous with fast application, cost-effective and robust jointing. For more information on UltraScape’s BS 7533 Mortar Paving System please call 01827 254402 or email ultrascape@instarmac.co.uk.